Leopardskin Jasper tumblestones, available in four different sizes. 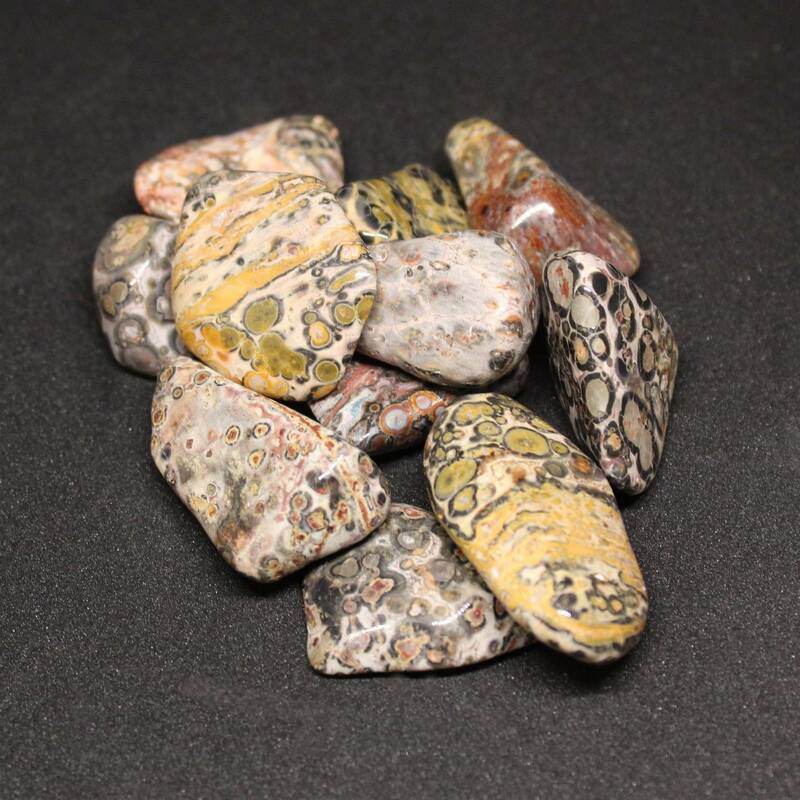 Lovely Leopardskin Jasper tumblestones, available in four different sizes from extra-small to large. 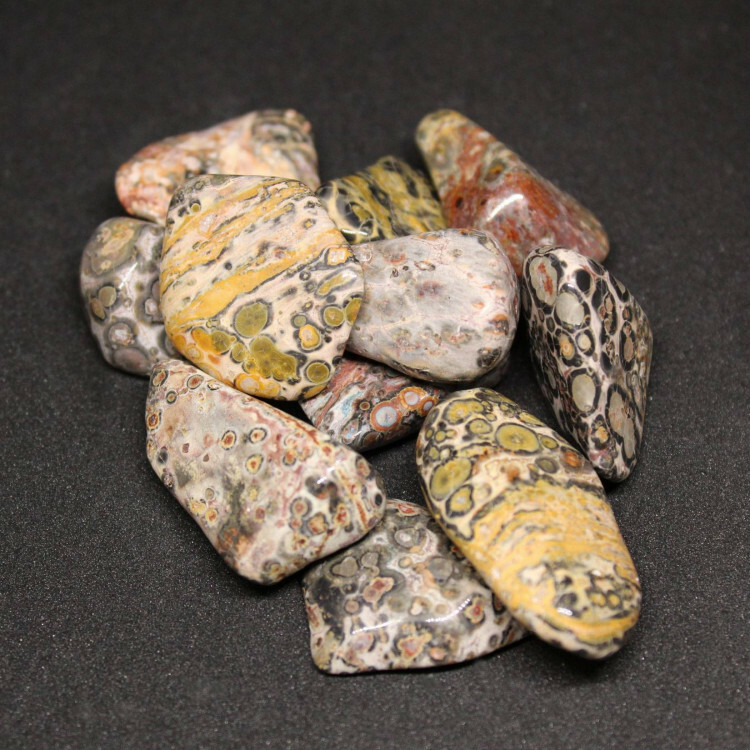 These stones are an interesting pale mix of colours with an orbicular patterning. 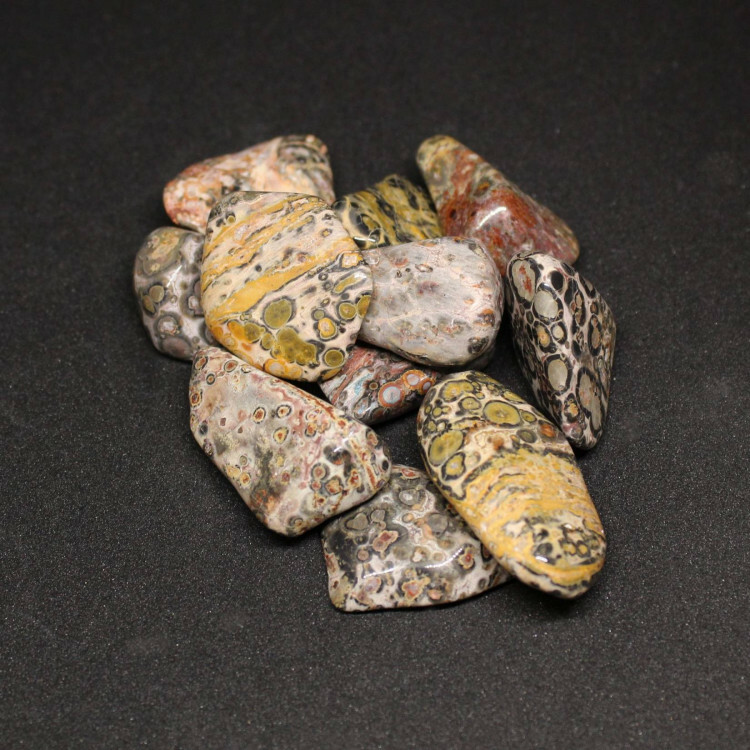 They make an interesting contrast stone when paired with darker stones, or black stones. Because of this, we find them ideal for use as fish tank gravel, or a decoration in a small bowl or vase. To find out more information about Leopardskin Jasper, including geological information and crystal healing, please see our main ‘Leopardskin Jasper’ page. This page also contains a full list of our Leopardskin Jasper products.